This is a continuation from last part. In this post might have a little more technical details about how things are generated. 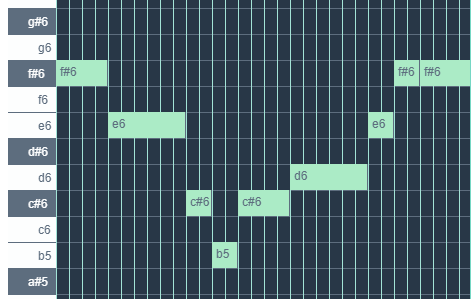 The progress for Melodyc is going forward and I'm currently in the middle of creating the unique algorithms for each melody progression. 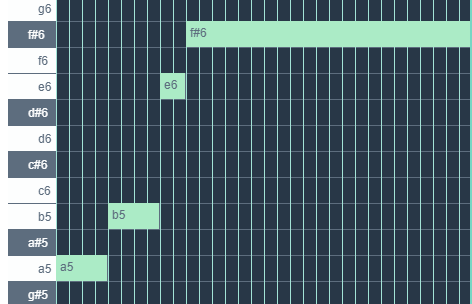 In Melodyc there will initially be 17 different melody progression modes that can each bar can use. In the future there might be more progressions, but these are at least the essentials to create music across various genres etc. In this post I will explain each progression and how they work. There is no code in this post as it's mostly theoretical. All progressions also depend on selected instruments and genres. That's because each instrument and genre progresses different and thus Melodyc takes that into account. All instruments and genres have default fallbacks when there is no specific progression. Note: Not all progressions have examples yet since they have not yet been implemented or data for them has not yet been created and analyzed. 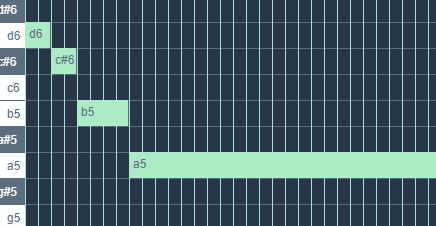 All examples are based on the generation of the A-Major scale. A generic melody progression is basically a melody that progresses in a generic / random way. There is no specific way that a generic melody might progress. An upwards melody progression will progress from a low note to a high note. An downwards melody progression will progress from a high note to a low note. An up-downwards melody progression will progress from a low note to a high note and then back down to a low note. An down-upwards melody progression will progress from a high note to a low note and then back to a low note. A swinging upwards melody progression will progress in the same manner as up-downwards, but it'll progress twice over the bar. A swinging downwards melody progression will progress in the same manner as down-upwards, but it'll progress twice over the bar. A short steady melody progression will progress in the same note with short repeating. A long steady melody progression will progress in the same note with long repeating. A random steady melody progression will progress in the same note but with random repeating. This may also result in off-beat notes. A short off-beat steady melody progression will progress in the same way as a short steady melody progression, but the mid and last notes might be off-beat. A long off-beat steady melody progression will progress in the same way as a long steady melody progression, but the mid and last notes might be off-beat. An interesting melody progression will progress in a way that has been deemed interesting based on the analysis of hit songs with same chord scales, instruments and genres. 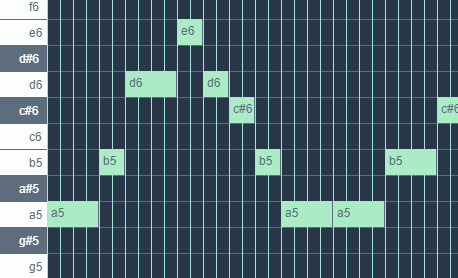 An unique melody progression will progress in a way that has been deemed unique based on the analysis of hit songs with same chord scales, instruments and genres. A simple melody progression will have minimal progression, but will still have a unique and interesting flow to it. A melody progression that follows the base chord will only use notes that are placed in the base chord, which means the whole scale is not available, only the 3 notes at every given octave. 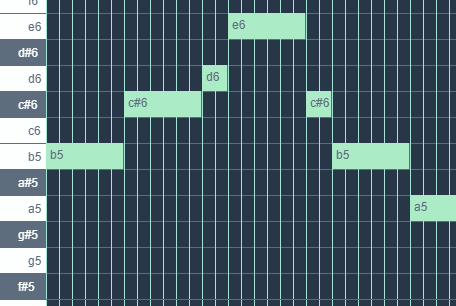 I think that's all I have for this time showing the progress of implementing melody progressions. 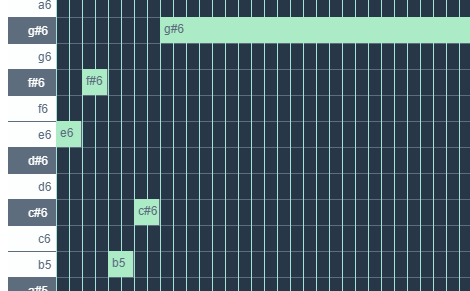 By next blog posts I'll probably have implemented song analysis which means I'll be able to explain some more in-depth AI things. 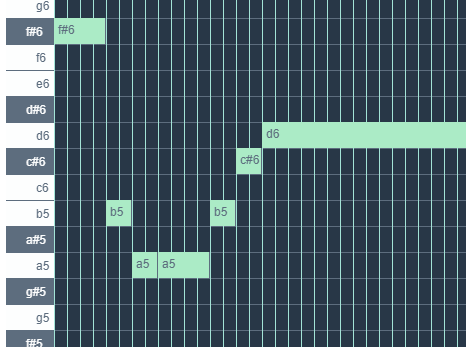 I might go more in-depth with each melody progression too and how the AI analyzes the chord and creates the melodies, but right now I don't feel like the AI is stable enough for me to explain the algorithms as they're still changing a lot and might still be in the near future. Also the data available at the moment is very limited and I want to wait until I have more data to base the AI on to explain more. I hope this was interesting to some though and I'm curious to know suggestions on what other progressions would be interesting to implement, as well areas it could be improved. I'm still new to writing blogs, but I'm always open to suggestions and ways I can improve my writing. I try to keep them interesting though. Thank you for the interest in my journey of using AI to generate music as well the creation Melodyc, the service that will be available to the public utilizing the AI! Looking forward to the next post about the AI aspects. Will be interesting to know how you train the AI with music theory. I can answer the basics as of now as it's not really at the part where it's "learning" too much yet. The learning part will not be during the generation as that's all based on the data it has so it just makes decisions based on that. The learning comes from given a song as input and then analyzing it and learning from that data. Get a specific set of criteria from the user of how the music should be generated and how it should progress. Then it makes decisions based on the given scales and progressing on how the music it should generate should be. There are a lot of different criteria, conditions and algorithms that all depend on the specific choices it makes down the road. This also includes making choices based on instrument, genre etc. which comes from analyzing songs. Throw a lot of songs at it. It will then analyze the songs and try to figure out each part of the song. Then it'll figure out the scales used. Then it'll figure out the chord progression, the melody progression by attempting to apply music theory to it etc. Then overtime it'll be able to generate better music because it'll be able to generate based on the data it has analyzed and learned from.